US visa renewal in India – if you are planning to renew your US visa, this is the only article you should be reading. Every year, millions of people visit the United States of America, including Indians. The type of visa issued to these people depends on their reason for visiting the USA. Each visa is valid for a specific number of years. For example, the tourist or the B2 visa is usually valid for 10 years. Some visas allow a person to enter the States only once during that time while others allow multiple visits. Ideally, when visiting the USA, your visa should be valid for at least six months after your return date. The good news is that when it comes to the US visa renewal in India, the process is fairly simple. What is the Difference between Duration of Stay and Validity? Just because your visa is valid for ten years, does not mean that you may stay in the USA for ten years. Every US visa has a date of issuance and an expiry date. This determines the validity of the visa. The duration of an individual’s stay in the USA is determined by the US Border Protection Officers. This is determined when the applicant arrives in America. For tourists, it is usually limited to 6 months. Overstaying your visa can have serious repercussions. If you overstay your visit by more than 180 days but less than a year, you may not re-enter the USA for three years. If you overstay your visa for more than a year, you will be barred from visiting the USA for 10 years. If you overstay your visit by just a few weeks, you will not be barred from revisiting America. However, your reentry will be dependent on the Border Officer’s discretion. It is important to note that in all three cases, overstaying your visit immediately cancels your visa. When to consider US Visa Renewal in India? Once a visa expires, its validity cannot be extended. Instead, you will need to renew your visa. Similarly, if you have damaged your US visa, you will need to renew it. However, if your visa is valid but your passport has expired, you do not need to renew your visa. In this case, when you travel next to the USA, you will need to carry your old passport and the new passport. Ideally, a US visa should be renewed before it expires. The procedure for US visa renewal in India a is a lot like applying for a new visa. Applicants must fill the DS160 form. This may be submitted online. The renewal fee will then need to be paid. This is nonrefundable and can be paid by cash or bank transfer. Individuals with a visa issued between Jan 2004 and Jan 2008 need to schedule an appointment to submit biometric data. 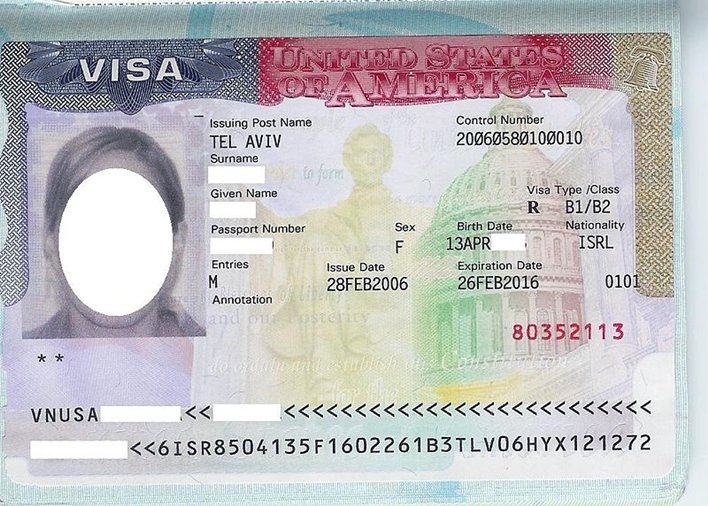 This step is not needed for individuals with a visa that was issued after Jan 2008. In this case, the applicant only needs to submit his or her passport and photograph at the visa application center. In the case of children below the age of 14 years, parents or guardians may submit the child’s documents. Natives of India qualify for the Interview Waiver Programme. Under this programme, Indians do not need to undergo an interview to renew their visas. This helps streamline the renewal of US visa in India. Indians who can renew their US visas under this programme include individuals with an H1B, C, D, B1 and B2, H4, J2, L2, and L1A or L1B visa. It is important for these applicants to have not been refused a US visa earlier. The individual should also be applying for the same class of visa that was previously held. In case, any additional information is required for your US visa renewal in India, the applicant will be informed via email. If the application is accepted, the applicant’s passport and visa can be picked up from a document collection center. If needed, it can also be couriered to the applicant. There are no extra fees that need to be paid for the delivery of the passport and visa.